The AGSI says members won’t engage with any other productivity measures until their pay issues are addressed. GARDA SERGEANTS AND inspectors have said they will not implement the organisation’s new modernisation and renewal programme until a conclusion has been reached on current pay issues. Garda Commissioner Nóirín O’Sullivan yesterday launched the new plan, which promises to keep victims at the heart of policing in Ireland and make crime prevention the number one priority. The programme also commits to a number of reforms which would see gardaí using new systems and technologies as part of their day-to-day job. Following the launch, the Association of Garda Sergeants and Inspectors (AGSI) wrote to the commissioner to tell her of their objection to the implementation of the programme. The AGSI launched a campaign in recent months calling for their pay to be restored to pre-recession levels. Hundreds of sergeants and inspectors marched through Dublin city in May to highlight their demands. General secretary of the association, John Jacob, said his members have already given “significant productivity increases over the last five years along with the introduction of new work practices and increased role responsibility”. This is without any recognition or compensation given to our members. Continuing to ask sergeants and inspectors to engage in reform without addressing our current pay concerns is unrealistic and unacceptable. He said the announcement today includes at least 100 reforms within the organisation and this will “greatly add” to the workload of sergeants and inspectors. Email “Middle-ranking gardaí say they won't implement the commissioner's new plan”. 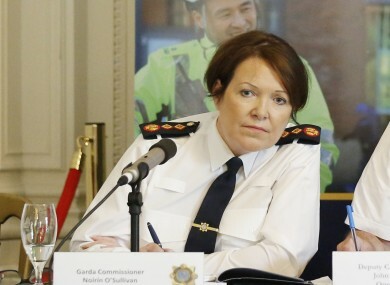 Feedback on “Middle-ranking gardaí say they won't implement the commissioner's new plan”.